Shiro Plums....oh I cannot wait for these luscious babies to ripen !! Getting sick with the mold/second hand smoke induced cough had set me back a few weeks, so weeding wasn't really possible and things got a bit out of hand. 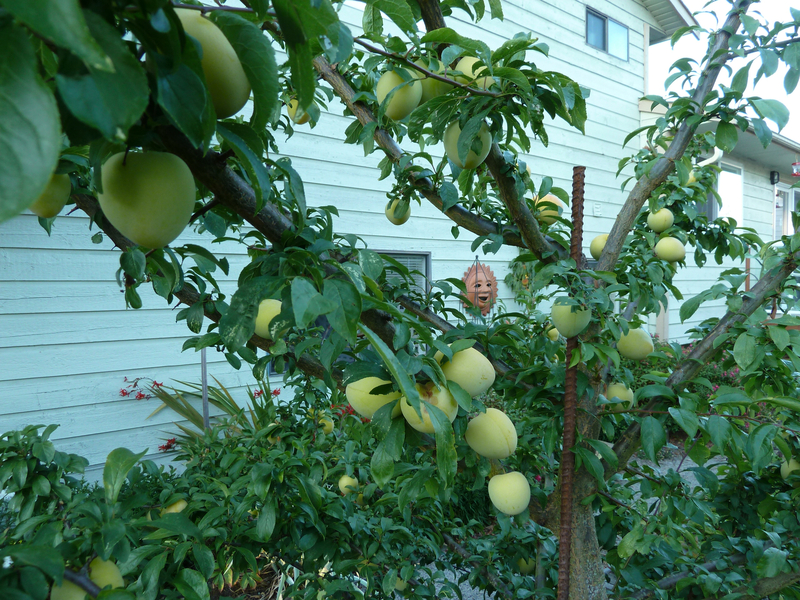 The other thing I noticed was quite a few yellowing plants. 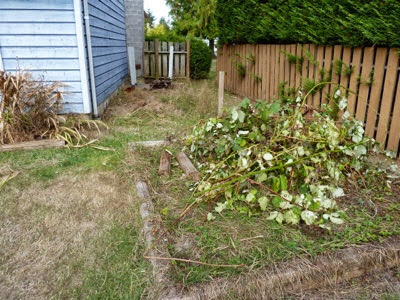 I suddenly realized that I hadn't done full on Back to Eden in my yard and much of the new garden I put in last year had lots of wood chips but no manure. Duh. So I am spreading manure around and things responded really quickly. I put two big loads of manure on Jinxed Bed #3. It is where the Strawberries from next door ended up. If you remember, there was a strawberry patch next door that had so many Buttercups, you could hardly find the strawberry plants. I found a few I could get out and cleaned the roots completely to make sure there were no Buttercup roots. They produce loads of large, red, sweet strawberries. Neighbour Judy gave me an Albion strawberry today that was so good. I am going to take it the strawberry patch that doesn't produce well and try this new variety. 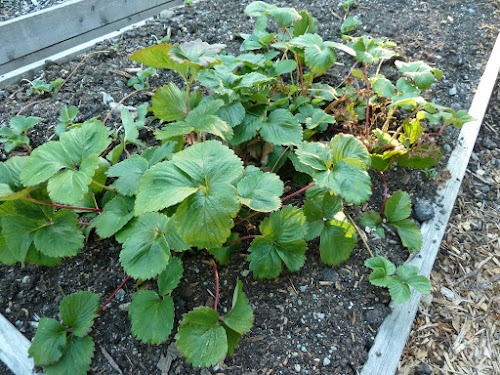 Here is a photo of the actual strawberry bed before it was removed. I bet you thought I was exaggerating about the strawberries being hidden. There are a few blackberry canes lying on the bed, but honestly, can you see any strawberry plants?